With shrimp farming in Thailand facing considerable challenges in recent years, the Asian Institute of Technology (AIT) will be assuming a lead role in research and dissemination of aquamimicry technology. “The technology has great potential, and AIT has invited farmers to establish a prototype demonstration project, where farmers can use the AIT ponds and the Institute can serve as a knowledge partner,” AIT President Prof. Worsak Kanok-Nukulchai remarked. AIT will offer institutional support under its theme of “R&D for mankind,” to help promote this paradigm shift in aquaculture. At the four-day Aquamimicry Sustainable Shrimp Farming Workshop held in Hua Hin from 7-11 August 2016 organized by the Aquamimicry Aquaculture Alliance (AAA), President Worsak offered to establish an International Aquamimicry Demonstration and Training Center (IADTC) at AIT, which could serve as prototype and act as a training ground. Further, he also invited AAA to establish an “International Center for Sustainable Aquaculture (ICSA)” jointly with AIT to conduct research and promote sustainable aquaculture to the world. Dr. K R Salin of AIT, who has spearheaded the organization of biofloc workshops in Thailand, remarked that aquamimicry has gained traction in recent months after the success of a few select farmers who were successful in reversing the losses suffered in traditional shrimp farming. Commercial shrimp farming has suffered on account of diseases as well as a decline in production. Further, commercial shrimp farming is a very intensive operation with high cost of stocking, feeding and considerable initial investment, and it has led to significant losses in natural mangroves in coastal areas. “In Aquamimicry, farmers combine sustainable and intensive farming, where they try and recreate natural biodiversity in artificial ponds,” Dr. Salin said. Shrimp is cultured naturally and natural feed is regularly mixed with commercial feed to reduce the cost of production and to improve productivity. The new technology, which was developed by a group of Thai Shrimp Farmers coordinated by Mr. Veerasun Prayotamornkul, has produced disease-free shrimps by mimicking the natural aquatic shrimp habitat. This has been replicated by shrimp farmers in Thailand and Vietnam, China, Korea, Indonesia, Malaysia, India and Bangladesh, where this technology has been adopted. Aquamimicry relies on generation of live feed (living organism) within the culture system, which mimics the natural situation in aquatic ecosystems where shrimps are grown naturally and they are nurtured in coastal mangrove areas. The system is non-polluting as the entire waste is converted into organic live feed. The system is found to be free of major diseases that traditionally plague the commercial shrimp farming industry. 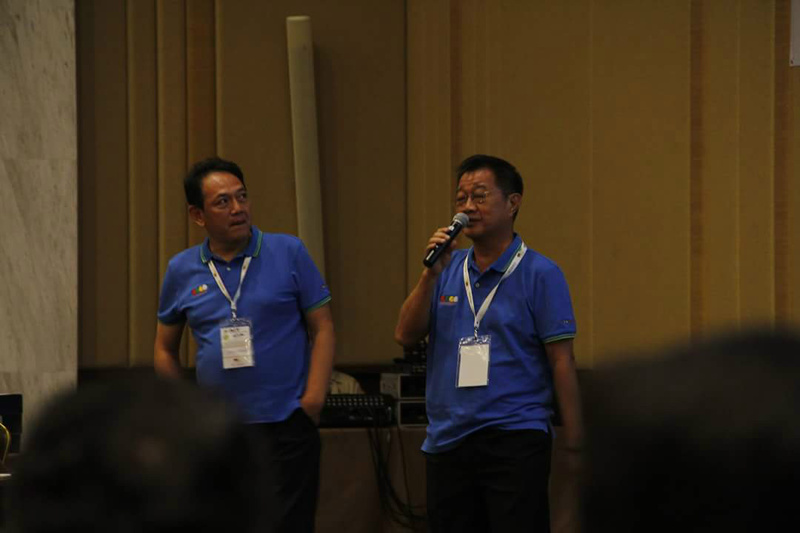 The workshop was organized by the Aquamimicry Aquaculture Alliance (AAA) involving AIT along with partner organizations – Thai Organic Shrimp Group, Kasetsart University and Institution of Aquaculture Singapore. Nearly 120 participants from 20 nations participated in the event. “Already four AIT students are working in this project, and we are now ascertaining the success rate of this technology in different climatic zones,” Dr. Salin added. AIT’s next Biofloc and Aquamimicry Workshop will be held from 14-18 November 2016 at AIT and Hua Hin.